Are you wondering about Filipino birthday food? Filipino’s are lover of good food and parties. 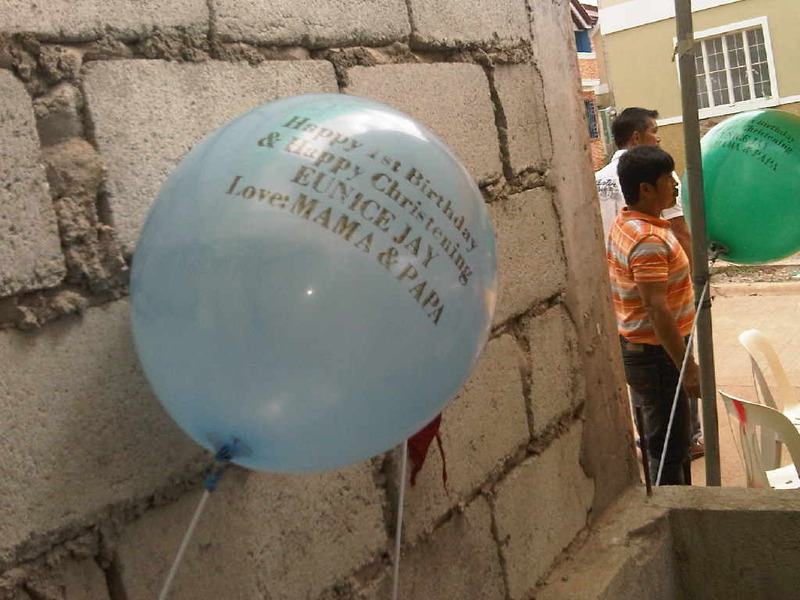 Pinoy’s love to celebrate every milestone of their kids life. Birthday is a special occasion and must be celebrated with fun fare. 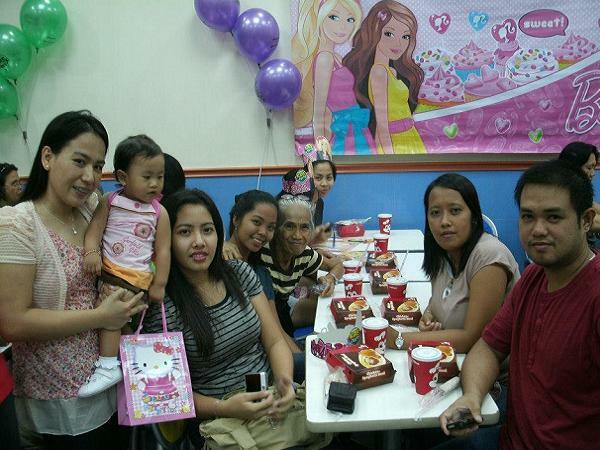 This article talks about Philippines birthday party food ideas for your kid 1st birthday. In the Philippines, it is common to see spaghetti on birthdays and other occasions. In fact, even low-income families make certain they at least have spaghetti to celebrate their kids’ birthday. 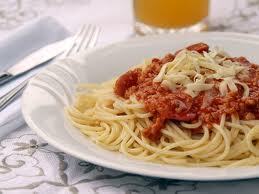 Pinoy prefer a sweet tasting spaghetti. It is common to see noodles swimming in tomato sauce that have been sweeten then topped with cheese at the buffet table of Filipino homes. Fried chickens are a must on kid’s birthday celebration. A lot of people enjoy eating fried chicken without rice, especially kids on birthday celebration. 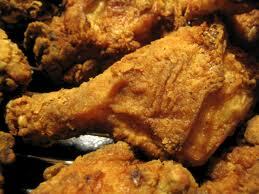 So, make certain you include fried chicken on your birthday party menu. 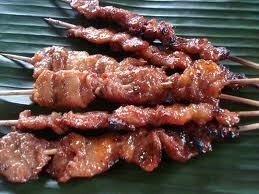 Grilled pork or more popularly known in the Philippines as pork barbecues are another staple Filipino birthday food. The skewered pork is a local favorite and can be eaten with or without rice. By the way, Filipinos love to marinate, so it is not surprising to see a lot of sidewalk vendors selling pork barbecue that have been marinated in tomato sauce, soy sauce and sugar. Philippines hot and humid climate is the primary reason why everyone loves ice cream. Buying ice cream for birthdays is necessary as both adults and kids enjoy all flavors of ice cream. 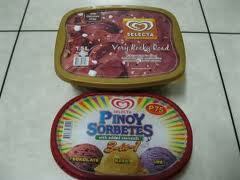 Selecta, Magnolia and other local ice creams are always part of pinoy birthday celebration. Hotdog on stick are mandatory for kid’s birthday parties. A lot of children enjoy eating hotdogs on stick with marshmallow. Hotdog on stick with marshmallow are also a wonderful table decoration. This is another reason parents include hotdog-on-stick in kids birthday party menu. So, expect to see hotdog on every kid birthday celebration. Filipinos also served pancit on every party. Come to think of it! A birthday party is not complete without pancit canton. This is because pancit symbolizes long life. This is a classic food acquired from the Chinese. Anyway, Filipinos prepare pancit in several ways. 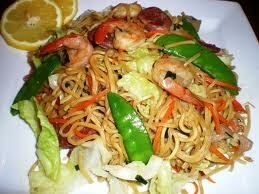 We have different types of pancit like Pancit canton and Pancit palabok, a popular pancit. This type of pancit uses rice noodles that have been lathered with rich orange sauce then topped with chicharon (pork rind), shrimps, hard-boiled eggs, shrimp broth and squid. The rich tasting pancit have graced the tables of many Filipinos families since time immemorial. Pancit habhab are another popular pancit because it is served on a banana leaf. You can also serve pancit canton, pancit bihon and sotanghon on your kids birthday party. 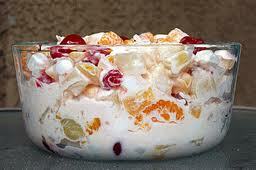 Fruit salad are favorite dessert fare of many Filipinos. 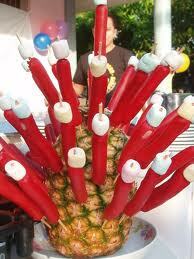 You can see this dessert on Christmas celebration, New Year, Birthdays and other pinoy celebrations. Most Filipino just buy canned fruits from the local supermarket. The fruit cocktails placed in a bowl then topped with an all-purpose cream, condensed milk and evaporated milk. Adding evaporated milk is optional. It is added to make the fruit salad creamier and better tasting. Lechon are pinoy pride. The national food that have graced the tables of many homes and the center of attention in birthday parties, weddings, Christmas celebration, and other occasions. The whole pig roasted over hot coals are a local favorite. The crisp, golden brown skin of the pig is certainly tasty, with or without the liver sauce or the bottled sauce called Mang Tomas. Cebu offers the tastiest lechon. Lechon Cebu are famous for you can eat the meat even without liver sauce. In Manila, Lydia’s Lechon, Mila’s and Pepita’s lechon are the local favorites. 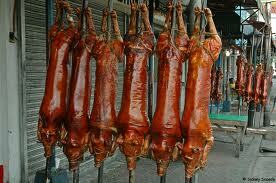 But if you want a cheaper Lechon then head straight to La Loma, Quezon city, the lechon capital of Metro Manila. Cakes are essential to birthday celebrations. 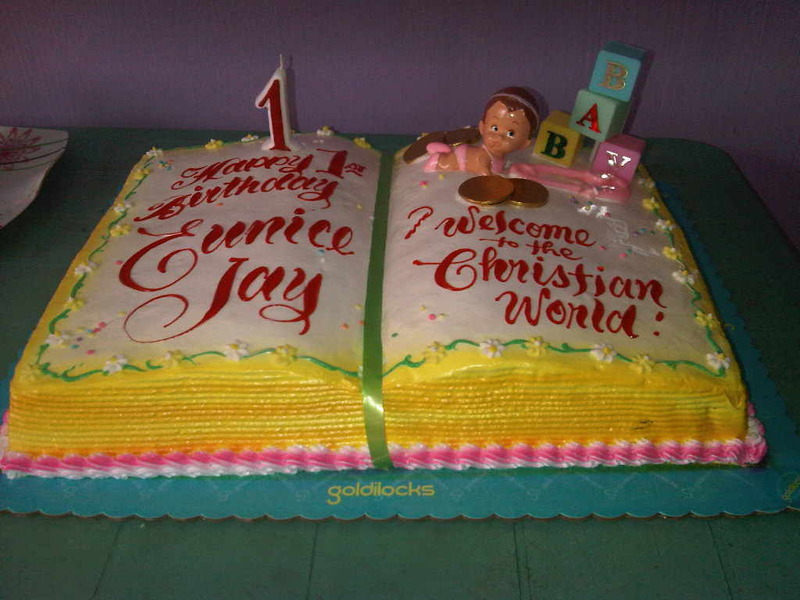 Most parents buy the largest or the cutest cake for their kid’s birthday party. A birthday party is never complete without a birthday cake. or lumpia. This is a terrific party foods for both kids and adults birthday celebration. Including Lumpia on your birthday party menu is a must. 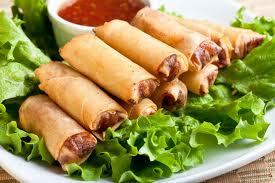 Spring rolls usually made of vegetables and meat. It is deep fried in hot oil. 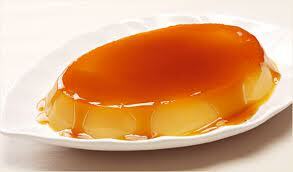 Leche flan is a popular pinoy dessert. The custard based dessert are made of eggs, condensed milk, evaporated milk, and caramelized sugar. Pinoy birthday parties typically start with guests and the celebrant praying together to give thanks to the Lord. The guests gather at the long table to get some food, before returning to their respected tables.